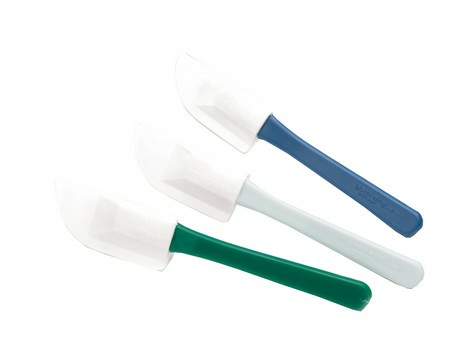 Plastic spatulas in assorted colors. Measures 6.5". Comes 2 per set.